We live in an age of constant media scrutiny. The internet has made it possible for everyone with computer or cellphone access to be a reporter and a commentator. If you check your pocket or your purse you will probably find a recording instrument capable of rendering the most powerful of people ineffective. All you have to do is what I am doing now. No, not preaching, using your recording device, as I am doing now with my iPhone to capture what I hear and see: I now have a visual record of who was in church today. I am even able to use the zoom feature and see clearly the inhabitants of the choir loft as well as pews in the back of the church. As I turn to the altar, I now have proof positive of the wonderful work of our altar guild. I can even takes notes in real time on this device. I can immediately post what I write, including videos and pictures, on Facebook or Twitter or a website of my own choosing. Others can then react and do the same. News collection agencies such as TV stations, newspapers, cable news channels, (oh, the list goes on! ), now use such postings as qualified sources when they try to “scoop” each other. Sometimes a lively, funny or touching story goes “viral” and we laugh or cry: such as cats confounded by sheets of paper pulled into a home printer. And often, it seems, manipulation is at the core of spurious allegations: either to tear down or repair a reputation. 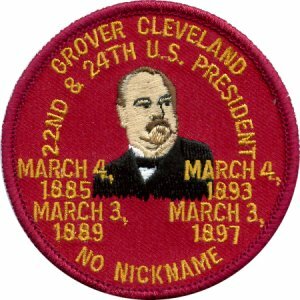 In the late 1900’s, bachelor President Grover Cleveland was accused of fathering a child out-of-wedlock. His story went slowly viral, one newspaper and one barber shop at a time. Cleveland and his aides were able to control it: truth about character was trumped by political expediency. Cleveland was twice elected President. The detail of those elections is trivia for another time. Flip-flopping, another more modern term for political expediency, brings the question of character into every conversation. Finding just the right phrase or image to discredit is at the root of gaining and holding power. For instance, I could be seen as a credible source as I speak on this subject. After all, I earned a Bachelor of Science from the prestigious College of Communication of Boston University. However, as my children have gleefully reminded me through the years when I’m being silly or over-explaining something, Dad’s using his B.S. in communication again. Your laughter indicates that the power of my credentials has been reduced, diminished, or simply dismissed. Imagine what we could do with the argument of the Apostle Paul if we simply sent a video around the internet of him saying, “To the Jews I became as a Jew, in order to win Jews. To those under the law I became as one under the law (though I myself am not under the law) so that I might win those under the law. To those outside the law I became as one outside the law (though I am not free from God’s law but am under Christ’s law) so that I might win those outside the law. To the weak I became weak, so that I might win the weak.”[i] Can you just hear the news: Against an unflattering picture of Paul, the newscaster gravely reports: “Dateline Corinth. The huge ego of the reputed apostle Paul of Tarsus was evident again today when he used the word “win” over and over again in a recent speech.” Cut to a full screen snippet of Paul saying only what I just read. Cut back to a tight shot of the newscaster slowly moving his head as if in disbelief. Paul is damned for being expedient and tossed aside as not relevant. My friends, expediency will always be with us. The desire to win destructively at all costs will always be with us. The struggle to combat the fear that builds distrust will always be with us. This is why we boldly say in response to the questions of The Baptismal Covenant, “I will, with God’s Help.”[xii] We can stand up to the constant scrutiny of our age when we serve as Christ served. Our dedication to serving the hungry, the thirsty, the naked, the sick, those in prison and all in need, recorded or not on our pocket devices, is how we let the world know that true power is bound up in the love we share in Jesus Christ. This is what it means to proclaim the gospel free of charge. This entry was posted in Sermons and tagged 1 Corinthians 9:16-18, 1 Corinthians 9:19, 1 Corinthians 9:23, 5 Epiphany, Book of Common Prayer Pages 304-305, conviction, expediency, flip-flopping, Grover Cleveland, I Corinthians 9:20-22a, iPhone, Isaiah 40:28-31, Isaiah 55:6, Mark 16:15, Matthew 10:19-20, Matthew 25:35-36, Matthew 28:19, Matthew 28:20b, Romans 8:38-39. Bookmark the permalink.